*This event occurred before the Cross Continent MBA program merged with the Global Executive MBA program. 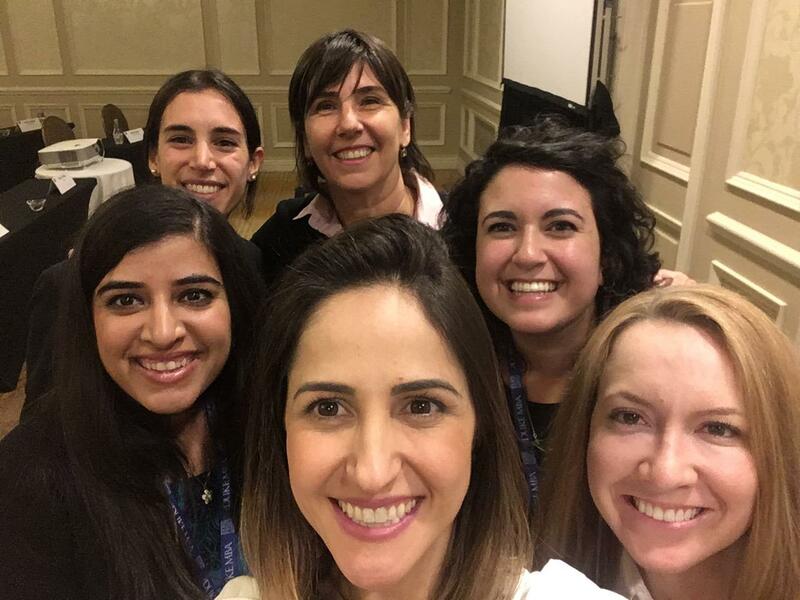 Members of Fuqua’s Association of Women in Business organized an appearance by guest speaker María Olivia (Malala) Recart during their residency in Chile for the Cross-Continent MBA program. Recart is vice president of corporate affairs operations Americas for international mining company BHP. The leaders of the Association of Women in Business said they were inspired by Recart because she embodied strong female leadership in Latin America, as well as the importance of global experience. Her talk focused not only on her career trajectory, but also on diversity and how challenges in the workplace can be overcome. Recart has worked in various sectors of the economy, including a trade association, a nonprofit, the policy sector, and even the World Bank. She has been with BHP since 2010. Recart said she attributed some of her success to the support of male figures in her life. From when she was young, her father taught her to be a strong and independent woman. She found even more support later in life from her husband and from her supervisor. This support helped her be heard for her ideas and not be overlooked because of her gender. Recart said diversity is important because it builds a positive culture. The Association of Women in Business decided to extend this idea into their own lives by inviting their male colleagues to the talk, which is something they hadn’t originally considered. Both male and female attendees enjoyed the event and learned from Recart’s stories and advice.